Journal entry #3 is the story of the garden path plantings in the courtyard of Freedom Senior Living, an assisted living facility centrally located in Sevierville, Tennessee. The mission of the garden path is to enhance the everyday lives of residents in communal living facilities and seniors aging in place, and to contribute to their overall wellbeing. 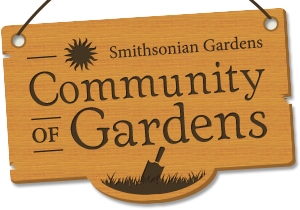 The garden path's standing invitation to participate is always extended to residents and visitors who show interest in gardening or planting activities. Windows in the residents’ living quarters and in the dining room look out on the courtyard, visiting canine companions often romp in the courtyard, and the resident house bunny often visits the courtyard during good weather (according to one resident). The landscaped courtyard presented an opportunity to include plantings varied in color, size, shape, and structure. Perennial and annual blooming flowers, ground covers, and bushes were planted in the mulched beds, and vegetables with complementary perennials were planted into an existing raised bed, centrally located in the courtyard. Residents observed our activities from their gathering room and supervised from a sheltered patio. One resident provided welcomed hands-on assistance with digging, planting, watering, and weeding—waging ‘war’ against dandelion plants who dared to show up in the mulch in flower beds. Upon spying the dandelion interlopers, she immediately set about removing the offenders; she was determined and ultimately always successful! Local community members donated vegetables and herbs for the raised bed, plus perennials and herbs for the mulched beds. Other supporters of the garden path contributed to the installation by donating plants in remembrance of family members. In memoriam plants included geranium, larkspur, thyme, and ageratum. Each addition initiated conversations among residents and visitors. Shared stories ranged from favorite plants and flowers they remembered from their own gardens, to memories of hoeing, harvesting, and preparing produce when they were children helping in family gardens. Mom or dad was the main caretaker of those remembered gardens, although most times the kids took a very active role. These stories normally began in the garden and ended in the kitchen with mom canning produce or preparing the day’s ‘gatherings’ for dinner. Residents, staff, and visitors expressed appreciation for the plantings in general, highlighting the vegetables in the raised bed and varieties of blooming flowers in the mulched beds. One visitor relayed that residents also enjoyed their status as bystanders, observing activities as we dug dirt, shoveled mulch, pulled weeds, spaced plants for optimal viewing from all those windows, and watered each section thoroughly—guided by our resident helper, of course! As noted in previous journal entries, a sense of community and shared enjoyment of gardening, as participant or observer, became ever more evident while working in the courtyard garden. Our resident helper was the most active participant regularly offering advice and guidance, with support from observers. Ideas, smiles, offers of lemonade, and attentiveness to the changes in the courtyard indicated that residents and visitors alike shared in the enjoyment of gardening, reflective of the participatory and inclusive perspectives common to gardeners.